Addressing the need for cost-effective, safe, and convenient methods of handling sterile compounding as well as in the preparation of cytostatic and cytotoxic materials, several market players are focusing on expanding their product ranges. The advanced barrier isolation systems are more apt at ensuring safety when compared with open fronted clean air devices including laminar flow clean benches. With the help of laboratory isolators, the lab operators can operate in total isolation from the manipulated substance. The global laboratory isolators market can be segmented into positive-pressure and negative pressure isolators. The negative-pressure isolators offer laminar airflow in the working chamber. Immensely useful in the production of biologically hazardous products, which also need minimized cross contamination, negative-pressure laboratory isolators are likely to witness increasing demand over the next few years. Positive-pressure isolators, on the other hand, are an ideal solution for products which need high sterile conditions and do not possess biological risk. A number of manufacturers are adopting innovative business strategies to diversify their product portfolio and extend their presence on a global scale. Product development via research and development activities is one of the key strategies aiding the market players in leveling up their market shares. For instance, in April, 2017, Perle Systems, a leading provider of serial device networking hardware, announced the launch of its new product, RS232 Serial Interface Isolator that can be used in factories, laboratories, industrial and retail sectors. Another key trend popular among market players is the customization and personalization of isolators so as to avoid contamination risks, protect personnel, and provide seamless products. Laboratory isolators are used to provide aseptic processing and accelerate microbiological control in the laboratory and other healthcare facilities. The range of use of lab isolators can be diversified through clinics, pharmaceutical industries, and other minority usage scopes. In addition, laboratory isolators also permit aseptic operations and sterility testing for laboratory processes through continuous contaminant removal processes. These isolators are also used in several healthcare facilities including pharmaceutical industries, clinics, laboratory, and research facilities. The microbial control using laboratory isolators can be done through sterilization processes, microbiologically retentive filters, and sporicidal processes. The selection isolator types is commonly based on their sporicidal capacities. Factors such as biological indicators and gas distribution can modify this sporicidal capacity to a large extent. In addition, the efficacy of the laboratory isolators also depends on the air change rate of the instrument and use of laminar, unidirectional or turbulent air flow of the system. The global laboratory isolators market can be segmented on the basis of its various types. The key types of laboratory isolators found today include flexible film isolators, flexible half-suit isolators, rigid isolators, rigid half-suit isolators, and transfer isolators. Of the several advantages of owning laboratory isolators, its global market is being driven by their cost-effectiveness, low spatial uptake requirement, and their easy maintenance. In addition, technological advancements and the introduction of innovative equipment by leaders in the global laboratory isolators market is likely to stimulate the market growth over the coming years. For instance, Geneva Scientific LLC currently offers Hospital Pharmacy Isolators for negative and positive recirculation pressure. This device provides a superior sterility of products as compared to open front clean air systems such as biological safety cabinets and laminar flow clean benches. Class Biologically Clean, Ltd. offers Breeder Isolators that are featured with a polypropylene holding box. This device is use to breed selective colonies of germ-free rodents with the company’s flexible film materials. Similar introductions will positively work in the favor of the global laboratory isolators market by providing a healthy competitive platform for the development of newer products. However, high cost of laboratory isolators is currently restraining the global laboratory isolators market in terms of overall growth rate, especially when it comes to implementing newer and often costlier products in developing economies. Additionally, stringent regulatory policies surrounding the use of laboratory isolators will further create hindrances for the overall growth rate of the market. Geographically, North America was considered as the leading region for the consumption of laboratory isolators so far, owing to the high volume uptake of these devices by a large number of research laboratories and pharmaceutical companies within the region. In addition, the introduction of advanced laboratory isolators by key domiciled players is likely to improve the growth rate of the market within the region for the coming years. Europe has been in the second place within the global laboratory isolators market in terms of demand volume so far. Its growth was mainly attributed to the multiple initiatives taken up by European governments to develop the overall healthcare infrastructure in Europe. Europe also holds the presence of several leaders in the global laboratory isolators market that are persistent in their efforts to bring about innovative products. One such example can be found in Azbil Telstar, S.L., which offers different types of laboratory isolators, including the Cytolators, the MSC III and the Sterilatos. These offerings increase the level of acceptance for the global laboratory isolators market in Europe, further driving the market’s growth here. Asia Pacific is the currently considered as the emerging region in the global laboratory isolators market, owing to a rising acceptance of laboratory isolators by pharmaceutical companies and clinical laboratories. In addition, improving healthcare infrastructure India and China as well the Middle East countries is likely to boost the global laboratory isolators market over the coming years. 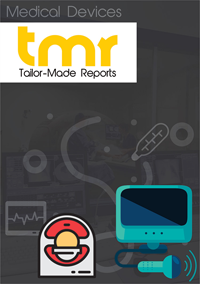 Some of the more prominent companies in the global laboratory isolators market so far have included GENEVA SCIENTIFIC LLC, Class Biologically Clean, Ltd., Noroit Corporation, Azbil Telstar, S.L., The Baker Company, and The Waldner Group.